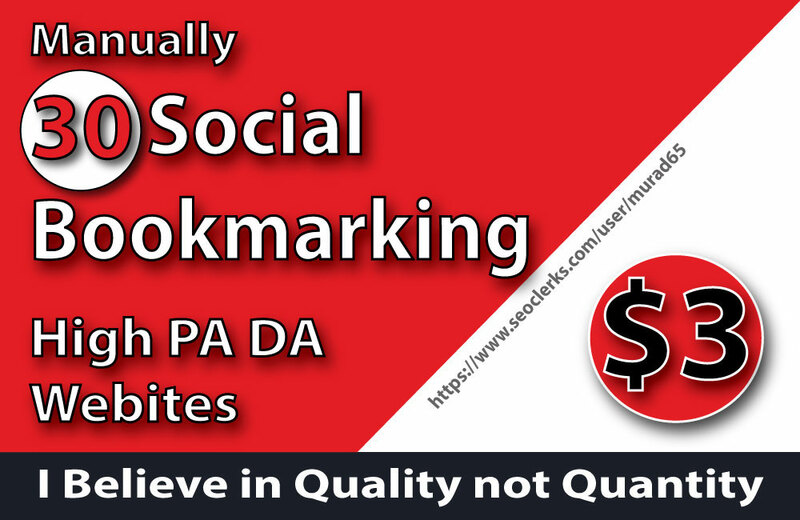 I Will add your Websites 30 Social Bookmarking with High DA PA Websites. This Process 100% Manually White hat & Spam free Submission No robots used. Spammed automated software or tools No use. 100% google panda penguin and hummingbird. After submission i will send you an excel file or screenshot with all links or current status of submission, user name, and detailed report.